Let this solid heart charm fill you with the love of life each time you wear it. Explore your individuality while affirming your thoughts and goals. Dream your dreams, wish upon the stars and mark the special moments in your life and the lives of those around you. 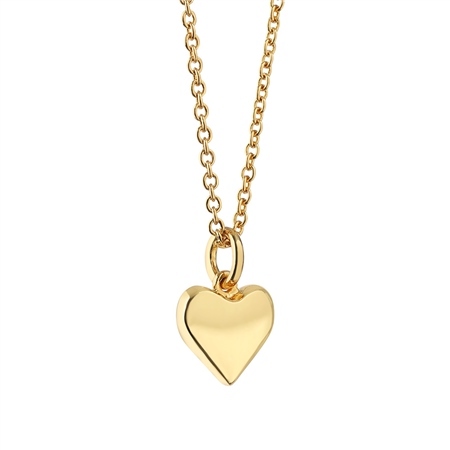 14k gold plated heart charm pendant with a protective anti tarnish layer, representing love, presented in a Newbridge Silverware gift box. Product dimensions Heart 10mm diameter chain length 570mm including a slider mechanism for easy adjustment .